Mazzeo celebrates 30 years in Manhattan real estate, 10th anniversary as WEICHERT® franchise owner. Talent and hard work can make you successful but it’s your integrity that will make your success continue and grow. March 2012 is a milestone date for Jim Mazzeo, broker/owner of WEICHERT, REALTORS® - Mazzeo Agency in Manhattan, celebrating 30 years as a real estate professional in New York City and 10 years with Weichert Real Estate Affiliates (WREA). A Brooklyn native, Mazzeo entered the field in 1974, moving into Manhattan eight years into an up-the-ranks career that began as a housing assistant with the New York City Housing Authority and progressed into real estate sales and management. In March 2002, he launched the first Manhattan franchise for the then brand new franchise organization, as one of its first 34 offices. By 2004, WEICHERT, REALTORS® - Mazzeo Agency was recognized as one of four start-up offices system-wide to achieve “the greatest gain in production” in one year. “Our company has continued to adjust and grow,” Mazzeo said, “even during the challenging economic times that have marked our industry.” He credits his well trained and hard-working sales team, together with the ongoing support of Weichert, for the agency’s ability to provide what he calls “raving fan” service. The company’s sales professionals are among the top honorees on the Weichert national roster each year. Noteworthy among award winners is Realtor Sarah Son, who earned the singular “Pinnacle Award” for 2007, the highest honor given by WREA to an agent, recognizing her as “the” top agent from among all affiliated offices nationwide. The office was also a three-time winner of the “Ambassador Cup,” one of two Awards of Excellence presented annually. WEICHERT, REALTORS® - Mazzeo Agency is a full-service residential and commercial firm, handling individual rentals and sales of apartments, condos and co-ops, as well as commercial buildings throughout New York City. They are members of the Real Estate Board of New York and Employee Relocation Council and are equipped to represent corporate relocation clients coming to the city. Mazzeo was named to the Board of Directors of the Manhattan Association of REALTORS® in 2006 and in 2007 was elected secretary of the organization. In 2010, the company added a VOW (virtual office website) to its conveniences for buyers and sellers. Viewers can tap into all of the Manhattan's MLS property listings and those of the Real Estate Board of New York. Mazzeo’s take on the company’s “success story,” is twofold: “We operate on a fundamental philosophy – talent and hard work can make you successful but it’s your integrity that will make your success continue and grow.” Secondly, he is a firm believer in educating agents and consumers alike on the “fundamental value of owning real estate,” he said. 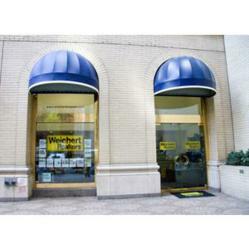 WEICHERT, REALTORS® - Mazzeo Agency is located at 51A East 25th Street, telephone 212-995-0006. The company’s website is http://www.weichertmazzeo.com.